South Africa consists of 9 provinces namely: Eastern Cape, Western Cape, Northern Cape, Free State, KwaZulu-Natal, Limpopo, Gauteng, North West, and Mpumalanga. You will find several cinema complexes, shopping malls, various historical attractions, fine restaurants and amusing theme parks. One may find several activities to do in various parts of the country. Activities such as paragliding, sand boarding, surfing, kite surfing, horse riding, rock climbing, skate boarding, mountain biking can be done and enjoyed there. Safari is the main highlight of Africa. The climate here is welcoming and the people are welcoming. The nightlife here is likewise interesting. You may find number of night clubs and bars. People here generally speak English or Afrikaans. South African Rand is the currency of South Africa. South Africa has an exceptionally well-developed communications infrastructure. Internet and Wi-Fi are easily available in most urban areas. Almost 80% of South Africa’s inhabitants are Christians. Other main religious groups include Hindus, Jews, Muslims and Buddhists. South Africa is known as ‘world in one country’ with its picturesque beauty and landscapes and the same can be seen through the wide range of accommodation it offers to its visitors. From five-star hotels and luxury private villas to various safari lodges and guest houses, South Africa is rich in providing housing to all. Both the quality as well as the service is of top class. South Africa holiday packages are offered by us at reasonable prices for our privileged clients. We offer world class accommodation and services to our customers. Arrive at Cape Town International Airport. Meet your English speaking driver and transfer to your hotel. Spend the rest of the day at leisure.Overnight in Cape Town. After breakfast, enjoy the Cape Point Tour where you visit the fishing village of Hout Bay. Then, continue traveling over Chapman’s Peak Drive onto Cape Point. Also visit Boulder’s Beach Penguin Colony and Kirstenbosch Botanical Gardens.Overnight in Cape Town. Today morning, enjoy on a city orientation tour passing the Castle of Good Hope, the Parliament Buildings, Tuinhuis, Company Gardens, St George’s Cathedral and the Malay Quarter. Continue for a visit up the Table Mountain (weather permitting) where you may take a cable car trip to the top of Table Mountain. Visit the V&A Waterfront in the afternoon.Overnight in Cape Town. Pick up your rental car today and continue at your own leisure to Franschhoek in the heart of the Cape Winelands. Enjoy a scenic drive this morning to the Franschhoek Valley. Stop to visit the Huguenot Memorial and Museum before stopping at one of the fine wine estates in the region for wine tasting. Cross Helshoogte Pass and descend into historic Stellenbosch with its broad streets shaded by tall oaks and lined by buildings designed and constructed to resist the ravages of time. Many can be seen and enjoyed along Dorp Street and Die Braak, the old village green. Do not miss out on the opportunity to visit Oom Samie se Winkel (Uncle Sammy’s Shop) in Dorp Street, which sells a marvelous variety of items ranging from traditional home preserves to curios.Overnight in Franschhoek. 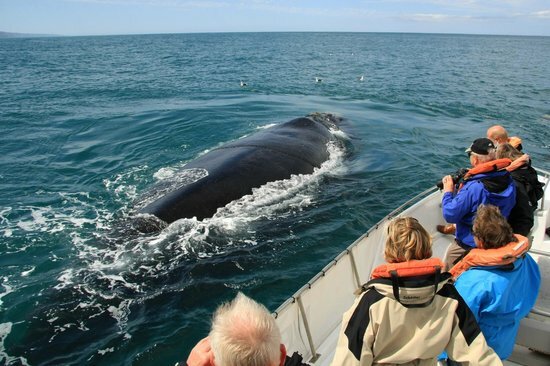 Museum makes it possible to survey the entire Walker Bay and the whales and dolphins at close range. Enjoy the afternoon at leisure at this seaside town.Overnight in Hermanus. An early start today, travel along the garden route to Knysna. Embark on an afternoon cruise on the John Benn vessel on Knysna Lagoon, famous for its Oysters, a treat for all the sea food lovers.Overnight Knysna. Today, visit Cango Wildlife Ranch, an Ostrich Farm and the Cango Caves.Overnight in Knysna. Drive down to the Port Elizabeth, South Africa’s fifth largest city located on the Indian Ocean coast. Thereafter, you will be driven to Kwantu Game Reserve. Lunch will be served depending on the time of arrival. In the evening, enjoy a game drive.Overnight in Kwantu Game Reserve. After breakfast, proceed for a game drive. Also visit Kwantu Private Game Reserve’s Education and Rehabilitation Centre. It is home to various different species of predators. (A visit to the Centre counts as an activity, 2 activities are included per day)Overnight in Kwantu Game Reserve. Enjoy an early morning game drive before you depart to Port Elizabeth airport for your onward flight back. Declaration: – Xtra Mile Travel Services is just a visa service provider company. It does not hold any responsibility of issuance of visas. The Embassies/Consulates are the sole deciding authorities for granting visas. Xtra Mile Travel Services can only give advice on additional documents required. In case of Personal interview of the applicant, the conveyance charges to approach the diplomatic mission will have to be borne by the applicant themselves. Xtra Mile cannot be held liable for non-issuance or late issuance of visa by the Embassies/consulates.